"Today is a day of great sorrow for Greece and for all of Europe. The EU stands with the Greek people in solidarity at this difficult time. Let me express our condolences to the families and friends of the victims of these devastating fires that have caused so much suffering and a tragic loss of life. As announced by President Juncker in his letter, I will travel to Athens today to meet with the Greek civil protection authorities and coordinate the EU assistance which is already on its way. I spoke with Prime Minister Tsipras yesterday night and I am in constant contact with him in order to offer the Commission's full support to the Greek authorities and people. At this stage, I would like to thank Cyprus, Spain and Bulgaria who have already made immediate offers of concrete assistance through our EU Civil Protection Mechanism: planes, firefighters, medics and vehicles. Together we are working 24/7 to help the brave first responders and emergency services working tirelessly to help those in need." On 21 July 2018, the European Commission pledged to provide additional help for Sweden as it seeks to contain dozens of fires that have been raging for over a week across hundreds of hectares of the country. "The Commission has been working 24/7 since Sweden requested EU assistance to battle the unprecedented forest fires as hundreds of hectares burn in the regions of Jamtland, Gavleborg, Dalarna, Norrbotten and Vasterbotten," according to a statement. Aircraft are already being provided by Italy and France and more support will be offered by Germany, Poland, Lithuania and Denmark through the EU Civil Protection Mechanism. "The EU stands by the Swedish government and the Swedish people in their time of need," said the EU Commissioner for Humanitarian Aid and Crisis Management, Christos Stylianides. "This is solidarity in action. This is what our citizens expect in a Europe that protects" he added. The Innovation for Crisis Management (I4CM) events aim to contribute to building a shared understanding in Crisis Management through the organisation of an annual event, allowing to address issues of common interest, to develop synergies between initiatives and to discuss the research roadmap for Horizon 2020 and beyond. The event allows local practitioners and solution providers to meet and exchange on best practices and lessons learnt, while providing projects and initiatives with an opportunity to increase their visibility and impact and to liaise with any interested stakeholders, including organisations developing similar projects in other regions of the world. It intends to make projects in the field of Crisis Management accessible to a wider range of external stakeholders in a specific region. The next edition of the I4CM will take place in Poland, at the Copernicus Research Center on 3rd-4th September 2018. 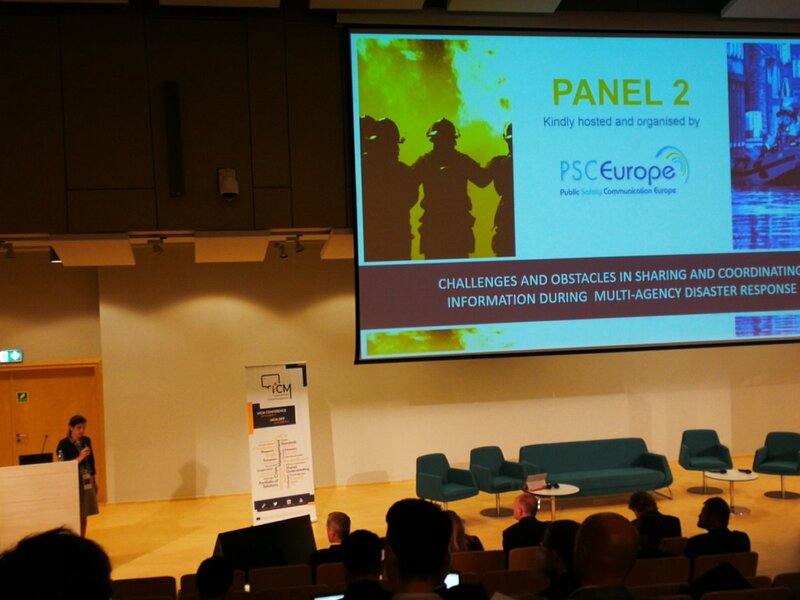 Focusing on standardisation, multi-agency cooperation, interoperability and regional-national pressing issues, this event will also be the occasion to present the results of the first Trial organised in the frame of the project and to pave the way for the second Trial to be organised in France in October 2018.